This tag is so cute and the colors look just like the picture. I love this tag! This tag is excellent in design and workmanship. I rated it 4 stars because the size is LARGE, too large for my 12 pound dog. It would be perfect if a smaller size would have been available. One thing for sure, it provides a lot of "bling"
Luna's new personal dog tag looks quite stunning with her bright pink collar. The tag is highly visible and it is holding up well so far. The tag protector sounded like a good idea but turned out to be a waste of money. It is a piece of rubber that is designed to cover the edge of the tag. It might work well for a sedentary dog but in the case of our active German Shepherd it quickly slipped off the edges of the tag. The tag seems to be holding up well without the protector. I ordered this tag, which is really nice, and a tag protector, which did not work out. Instructions tell you to attach the small split ring to the dog tag, which is impossible with the tag protector on. So I attached the large split ring. 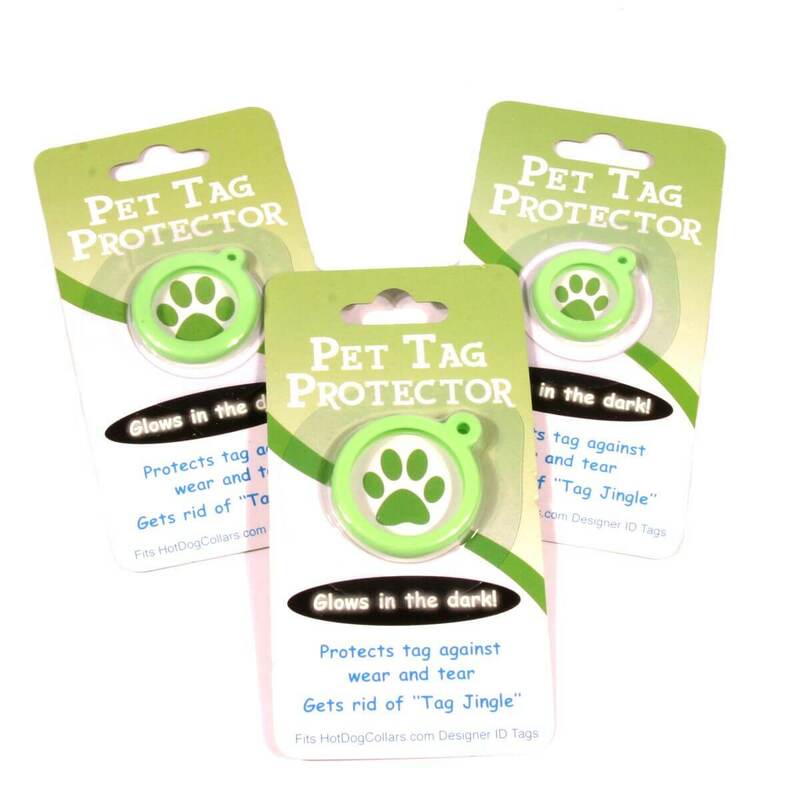 The protector was OK until dog scratched at her neck and pulled the protector off of the tag. Nice tag, light weight and so far very durable. The style of the tag makes it easy to spot from a distance, too! I wasn't sure I would like the lightness of this tag as I usually get the crystal snowflakes for my critters, but this tag seems sturdy enough to hold up to my 3 month old heifer's shenanigans! She's rubbed it on everything in sight (and her mother has licked it about a billion times too!) and it looks as good as the day I put it on. Also, it looks super cute on her sweet little face! I got the green daisy tag to go with the faux black croc collar that has daisy's on it as well. It looks so cute together on my Boston Terrier GRACE. People stop to say how cute she looks!